Nanu Berks is a prominent blockchain artist whose creativity is ignited by finding our roads back to freedom through this technology. She believes in creating large-scale public art murals/installations as efficient ways of continuing the conversations outside of the screens and keyboards. 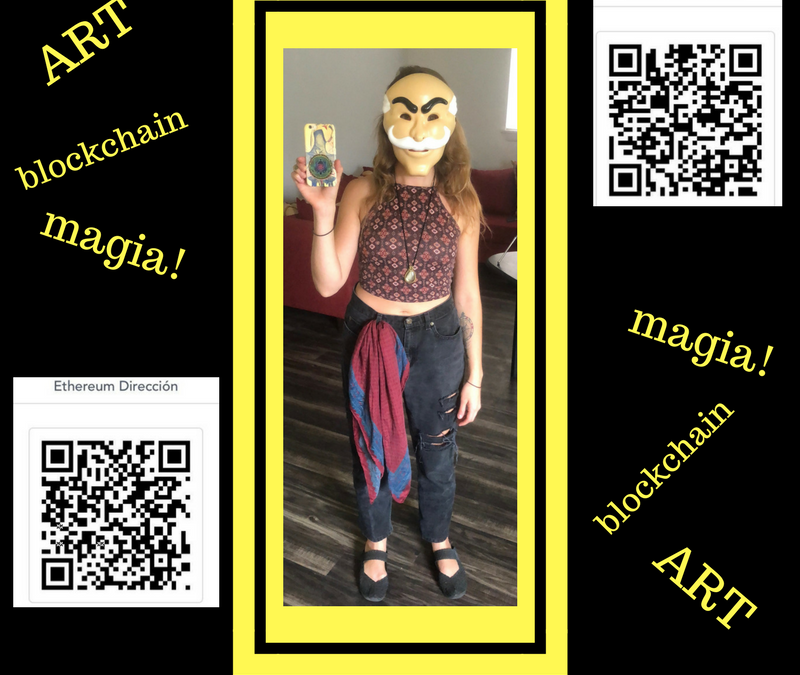 For the past two years, Nanu has been following the blockchain conference circuit speaking, reporting, and live painting, bridging the gap between non-technical creatives and hyper-technical advances, leveraging the opportunities for self-evolving education that exist in between the two worlds. Originally from Argentina, I have been backpacking living a nomadic lifestyle for most of my life as I can remember it. I was born in San Juan Argentina a very small town and had the privilege of growing up playing in the dirt without much tv or distractions. When I was nine years old I moved into a bigger city, Cordoba and then Buenos Aires and at 13 immigrated into the US. Without any English background and coming from a broken economic system where the Argentinian banks had stolen all of my family’s life savings, escaping and traveling became my coping mechanism. At first I backpacked hoping to detach from society and its rules, lived in jungles with no phone or computers and thought I would never return to civilization. I painted murals and busked on the street and lived an adventurous life hitchhiking across the Americas and a bit of Europe and The Middle East. Leave it to irony to always be safe in the “dangers” of the world but have a near death experience as soon as I return into the city, after getting hit by a truck while biking in Argentina, I had to move back to the US where my mother was based in Boston to re-learn how to walk and reintegrate into the human experience. After this happened, I decided to try life the conventional way, I moved to Austin Texas, became a digital nomad creating content and pr strategies for various tech companies, and finally paid rent in one place for a while. This move gave me the chance to confront my escapist tendencies and focus on growing some roots. 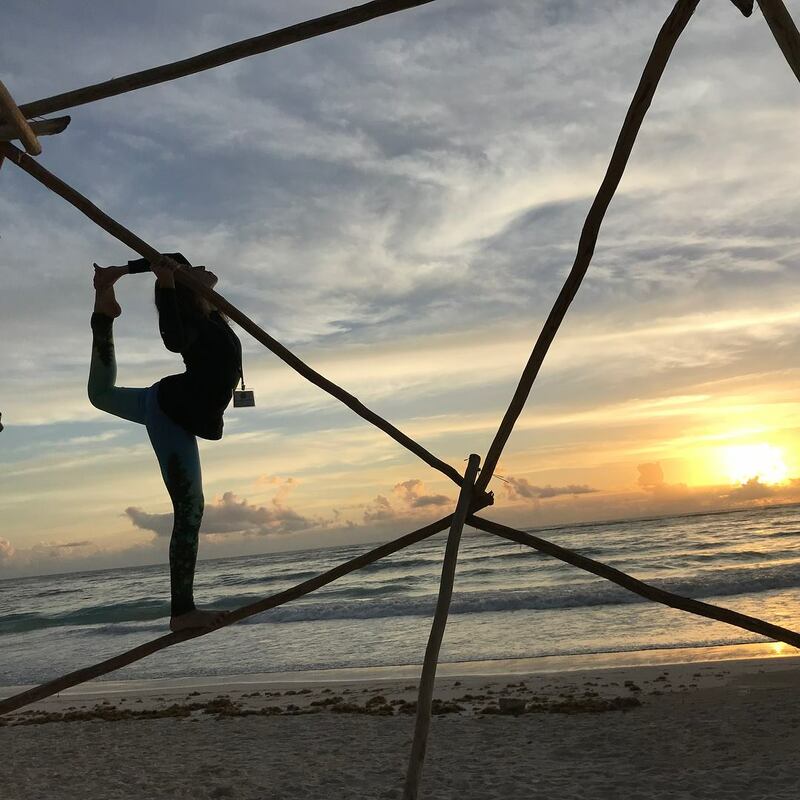 Finding community and having a place to create art ongoing healed me and so the anarchist rebel in me was able to resurface with new aligned intentions and motivations of serving our collective conscious evolution. Realizing that resisting technology meant I had to help in this very realm from within, was the most useful of all sparks. I always advocated for education as self-empowerment and learning about blockchain technology as a vehicle for activism and efficient change continues to motivate me to become a better person and positive community building influencer. Following the crypto conference circuit has brought me back to my roots. I know to some people, especially non-technically inclined creatives, technology might not seem parallel to grounding, Genesis, beginning, however, everything we are is technologic evolution. From the most ancient plant medicines and biochemistry to blockchain decentralization for this paradigm shift. These extreme mirrors are what interest me the most, and so my visual interactive creations are based on encompassing a moment in time with the raw feeling of the energy surrounding an event or project. I intend to in this process create a visual timeline of the blockchain evolution movement as we live it. At conferences like tokenfes.io, I enjoy creating a contemporary street art collage piece such as the one below, using found objects, often brands’ stickers as a visual map of a snapshot in time. In many ways, this decentralized city of nomadic visionaries and entrepreneurs feels very similar to what I imagine was the roaring 20’s, and I feel privileged and grateful to have a voice within this transformational human experience.